Issue: The Montana Department of Livestock (DOL) claims it slaughters the Yellowstone bison because they carry the disease “brucellosis.” This claim rings hollow when examined in the light of objective scientific fact. Background: Brucellosis was first detected in the Yellowstone Buffalo herd in 1917. The buffalo were exposed to brucellosis by domestic cattle that were (unwisely) allowed to graze in the park and confined with buffalo. Brucellosis is most commonly transmitted among and between species through ingestion of infected birthing materials. Yellowstone buffalo developed a natural immune response to brucellosis and do not typically suffer from the disease. It is believed that many buffalo may also have a genetic immunity to brucellosis. Failed pregnancies, the most common symptom of brucellosis, are relatively unknown in Yellowstone buffalo. The most likely mode of exposure among buffalo is ingestion of small amounts of bacteria from newborn live calves. and containment of wild buffalo. Facts: A number of elements have led to the death of thousands of buffalo since 1985. The factors (which we explain in greater detail below) include the incidence and transmit-ability of brucellosis in buffalo; the distribution of cattle in the Greater Yellowstone Area; and the regulatory structure in place to reduce/eliminate brucellosis from the region. Now we’ll explain things in even more detail, and share some additional but related information. Ready? Have you got your pocket protector in place? Testing methods: There are currently two methods to test buffalo for brucellosis exposure and infection: serology and culture. Serologic testing involves drawing blood from live animals to determine if long-term antibodies for brucellosis are present. 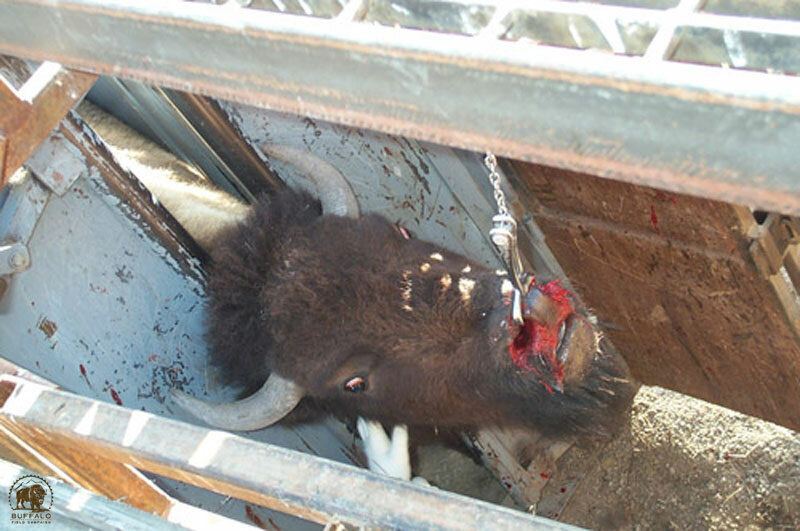 Buffalo that test positive are considered infected and sent to slaughter. 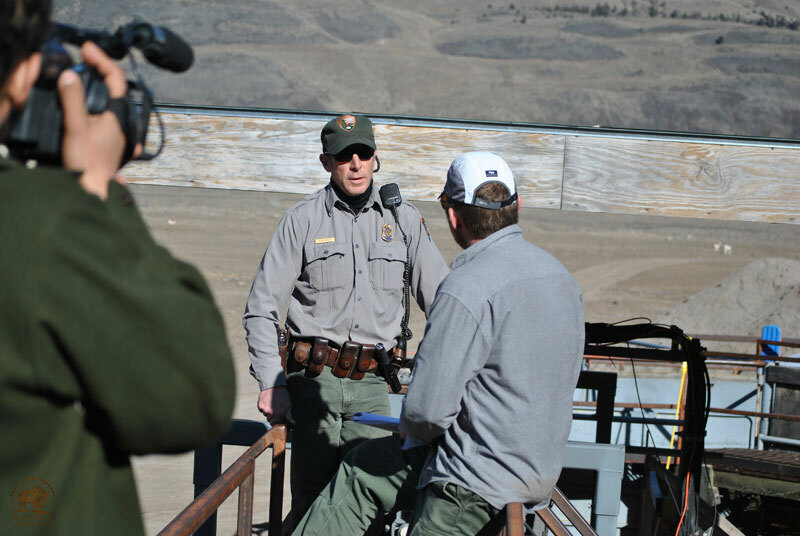 Approximately 45% of Yellowstone buffalo test sero-positive on the CARD test, the one most commonly used by the agencies. The other method, culture testing, involves tissue sampling from slaughtered buffalo to determine if actual bacteria are present. 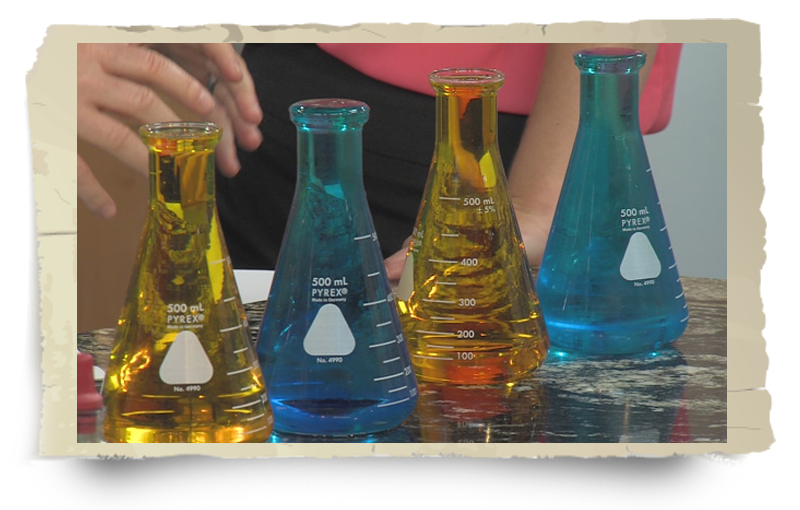 Culture testing is considered to be the “gold standard” in determining infection. Drastic differences between sero-positive and culture positive buffalo indicate that many buffalo are being slaughtered simply because they have developed immunity to brucellosis and are not actually infected. Would you take Chicken Pox medication if you had the antibodies but not the illness? Anyway, a combination of test results indicates that only between 2 and 20 percent of buffalo actually have brucellosis bacteria in their bodies at any given time. Less Definitive Testing: Culture of tissues from slaughtered bison are no longer being done to confirm DOL field test results. 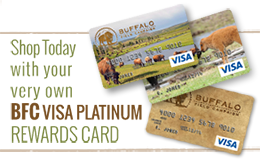 In spite of these facts, DOL continues to use the results of both the FPA and the CARD tests, which sends low risk bison (i.e. bulls) to slaughter. Inconclusive Results: Even if only the CARD test is positive and the more specific FPA is negative, buffalo are sent to slaughter. Why is DOL spending thousands of tax payer's dollars on new technology if it will not be properly utilized to save uninfected bison from needless slaughter? Transmit-ability: The most likely method of transmission between species is ingestion of infected birthing materials or from an aborted fetus. Thus bulls, calves, yearlings, and non-pregnant females do not pose a significant risk of releasing infected materials in the environment. When a female buffalo is infected with brucellosis, she will pass the bacteria in her first pregnancy. After her first calving, her uterus will “super protect” itself from brucellosis, preventing infected material from being shed in subsequent calving even if she is re-exposed. Therefore, only pregnant female buffalo in the first calving cycle after exposure have the possibility of sloughing infected material into the environment. Brucellosis related abortions, even among infected females, are extremely rare in Yellowstone buffalo. Given the very small segment of the population that can even potentially transmit brucellosis and the low probability of transmission occurring in nature, the real chances of brucellosis transmission are extremely low. Additionally, brucellosis bacteria will not survive in warm weather or direct exposure to sunlight, and the activity of predators/scavengers all but guarantee that fetuses or infected birthing material will not persist in the environment beyond mid-May. There has never been a documented transmission of brucellosis from wild bison to livestock. Even if buffalo were capable of spreading the disease, there are no cattle on these lands from mid-October to mid-June, making brucellosis transmission impossible. Distribution of Cattle: Relatively few cattle graze in the Greater Yellowstone Area (GYA) at any time of the year, particularly in the winter and spring months when transmission is even a possibility. In the Western Boundary Area, no cattle are present within 45 miles of Yellowstone National Park in winter and spring. Cattle are typically only in the area between mid-June and mid-October, a period when there is no possibility of brucellosis transmission. The vast majority of cattle that graze in the summer in the Western Boundary Area are imported from Idaho and are already subjected to brucellosis vaccination and testing. In the Northern Boundary Area, there are never any cattle on the west side of the Yellowstone River between Gardiner and Yankee Jim Canyon. One rancher grazes about 25 cows on the east side of the Yellowstone River and approximately 4 miles north of Gardiner on Rt. 89. This same producer brings his cattle to private land adjacent to the Eagle Creek Special Management Area (SMA) in the spring months. Untested buffalo are allowed to be in the Eagle Creek SMA, and no transmission of brucellosis has ever occurred. One additional producer grazes cattle on the east side of Yellowstone River north of Gardiner. Both of these ranchers have publicly stated that they welcome wild bison on their properties and are not concerned about a brucellosis transmission. Regulatory issues: Montana is currently certified brucellosis class “Free.” Free status allows producers to transport reproductive cattle across state lines without brucellosis testing. The United States (US) is not certified brucellosis “Free” by the World Organization for Animal Health, the international regulatory body. Therefore, brucellosis testing is required to transport reproductive cattle across international boundaries. In order for the US to be certified brucellosis free, no livestock in the country can have been vaccinated for three years. Bullying the Bulls is Bull: Many (some seasons, all) buffalo captured and slaughtered are bulls, which are incapable of transmitting the disease. Often slaughtered buffalo tested positive for brucellosis antibodies, but not the resulting infection. Because it is proven that bison build natural resistance to brucellosis, these animals (with antibodies but not infection) may actually be the strongest, healthiest animals of the herd. The overwhelming majority of bison slaughtered according to these test results don't actually carry the disease. This means not only is DOL killing what we consider and hope to prove is an endangered species, they are killing the toughest of them...the ones that should be breeding future buffalo babies. A wild buffalo forcibly moved as a part of the testing and slaughter process. This is a much crueler and bloody process than represented in this image. Antibody Detection: Most bison that test positive at a capture facility test negative under a more accurate post-slaughter necropsy. DOL uses a new testing methodology available for detecting antibodies to brucellosis in wild bison called the Fluorescent Polarization Assay (FPA). This testing method involves the use of antigens tagged with a fluorescent material which detect IgG (immunoglobulin G) type antibodies to brucellosis and bind with them. Binding between the antibody and the tagged antigen results in an increase in polarization which is detected by the analyzer and reported as a quantitative result. This result is interpreted as positive or negative based on certain value criteria. Studies have established that the specificity and sensitivity of this test were found to be much higher when compared to Particle Concentration Fluorescence Immunoassay and the CARD test. However, in spite of the advanced technology of this testing method it is only capable of detecting IgG (long term immunity) antibodies, not the presence of brucella organisms. The major advantage of FPA over the CARD test is that it will detect a quantitative level of antibodies, which may or may not directly correlate to the presence of an infection, whereas the CARD test simply detects the qualitative presence or absence of antibodies. Although DOL has finally begun using advanced technology to detect brucellosis antibodies in wild bison, they are still unable to correlate their test results as proof of actual infection. Only a small percentage of Yellowstone buffalo are actually infected with brucellosis. Brucellosis does not have any significant impact on the health of the Yellowstone buffalo. The risk of transmission from wild buffalo to cattle is tiny, and there is not a single case of this happening, ever. Relatively few susceptible cattle graze in the GYA, and most are not present during the time of year when the miniscule transmission potential could occur. 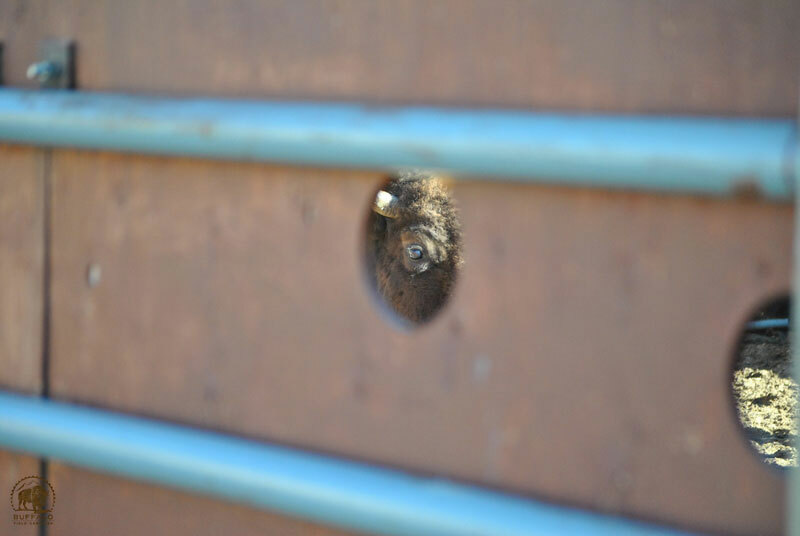 Wild buffalo prisoner eyes freedom through the wall. Herd management plans that adjust cattle grazing dates could be easily implemented to completely eliminate transmission potential. Montana can easily comply with the National Brucellosis Eradication Program to insure that brucellosis class “Free” status is preserved. The GYA could be exempted from the OIE certification process (by keeping cattle out, period) and allow the rest of the country to enjoy international brucellosis free status. 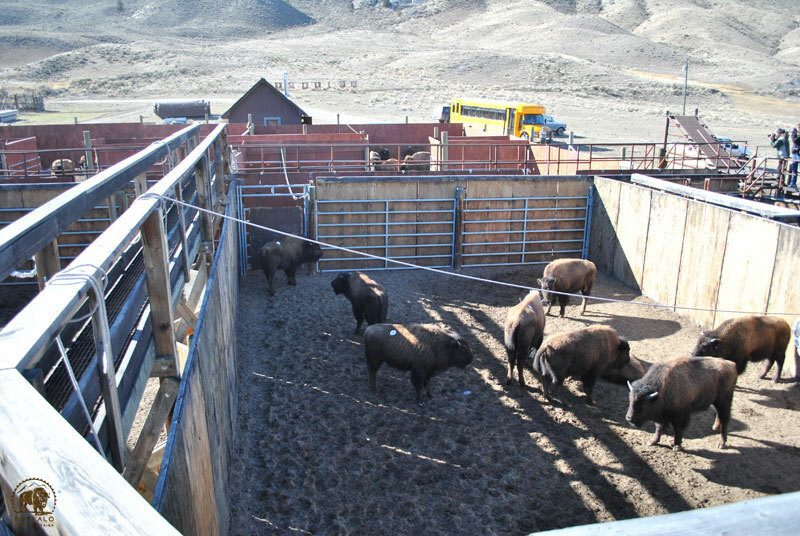 Montana can develop risk management strategies for domestic cattle that allow free-roaming populations of wild buffalo in the GYA and beyond. You Can Make a Real Impact for Wild Buffalo! As you can see, there are solutions to this issue, primarily related to sharing the facts and educating the public and legislators.